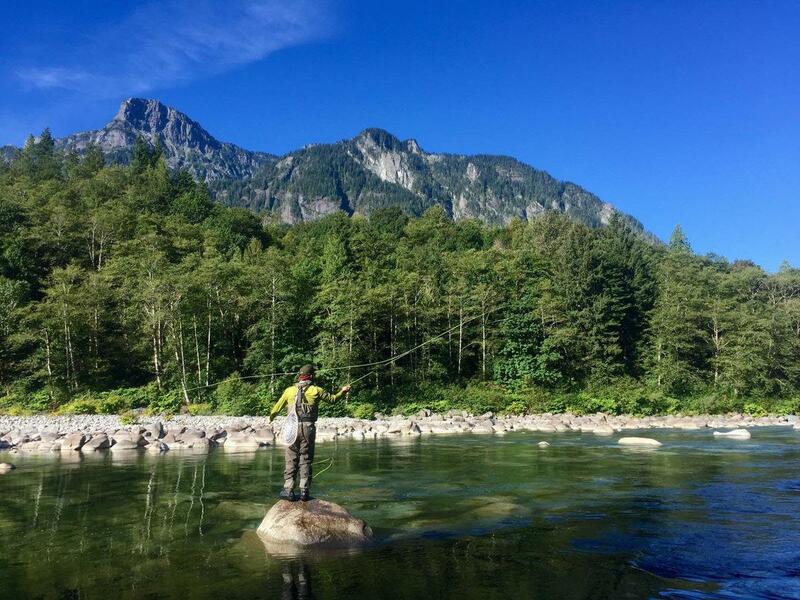 Fish for tasty salmon on the sparkling Skykomish River! 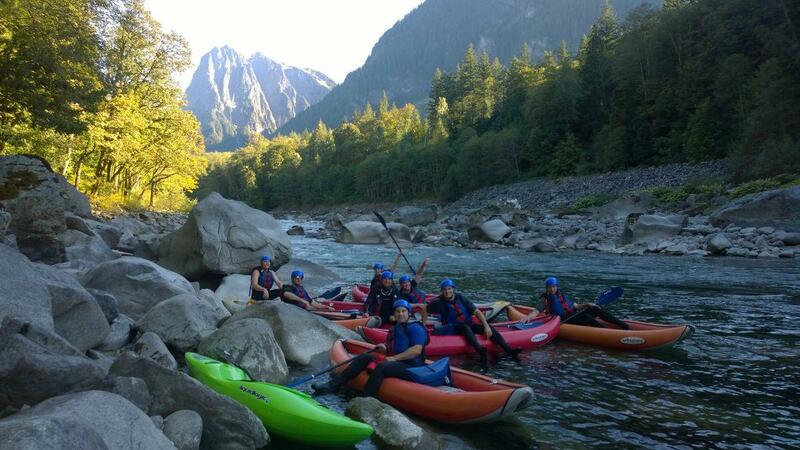 Enjoy white water rafting or kayaking in nearby Index, WA. 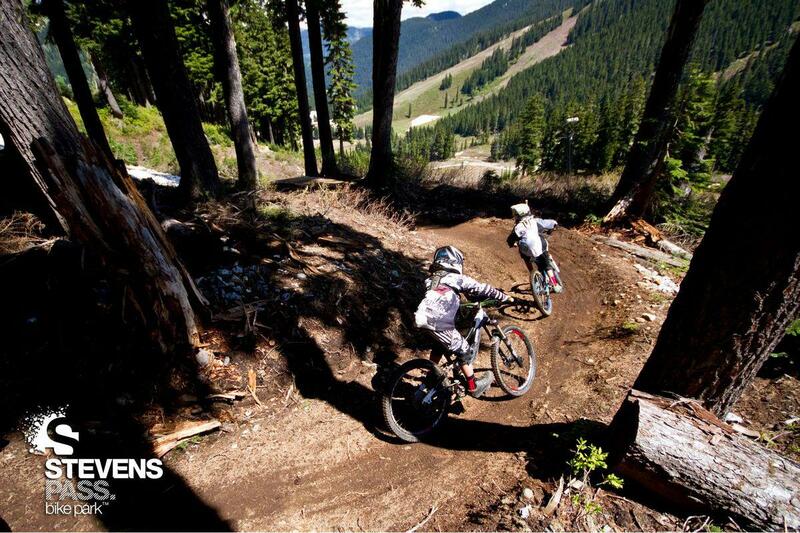 Stevens Pass becomes a world class bike park in the warmer months! 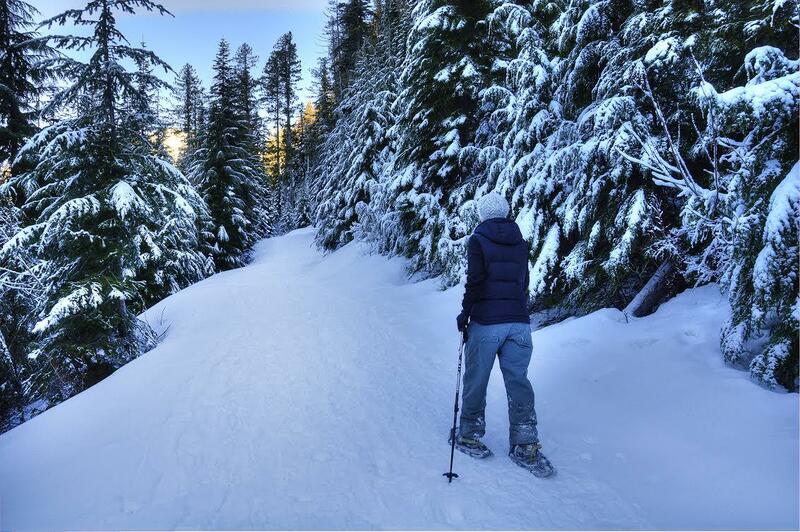 Snowshoeing trails as well at the Nordic Center. 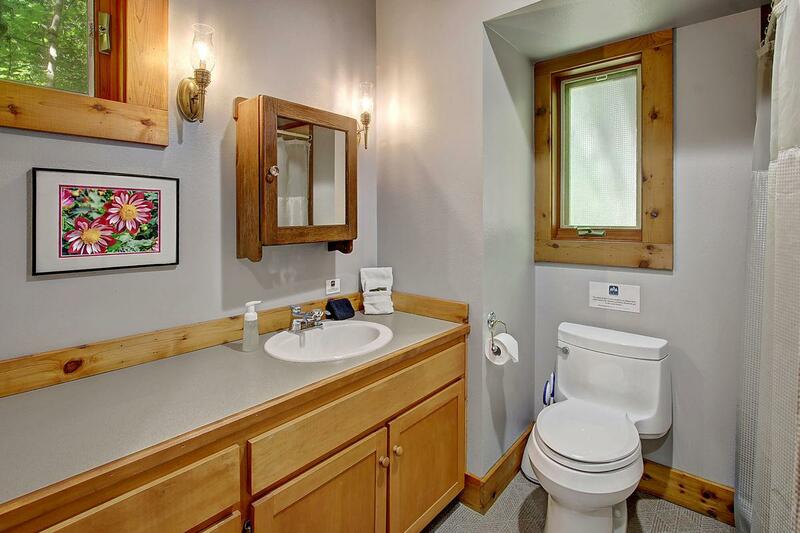 Great for all ages. 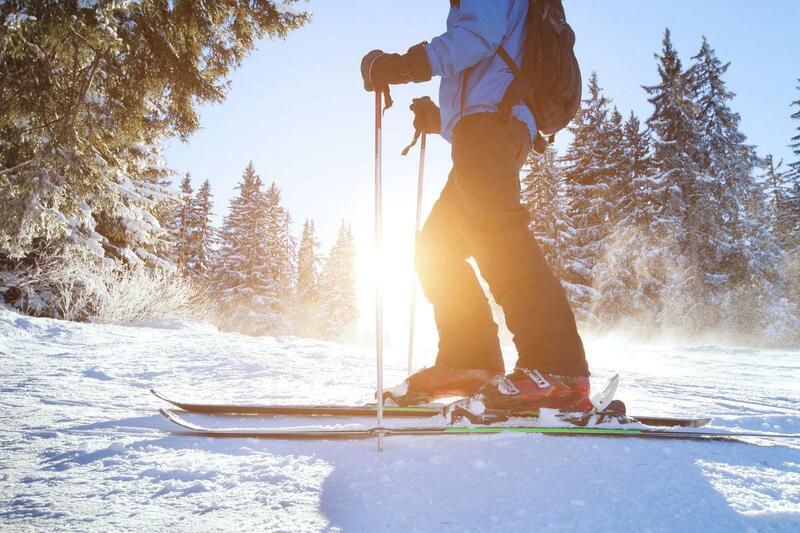 Cross country skiing at the Nordic Center, just east of the summit. 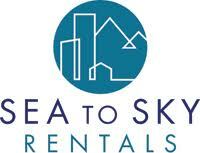 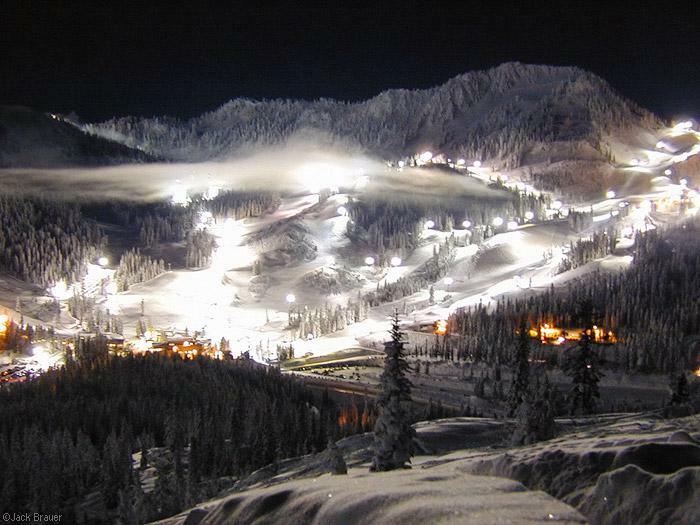 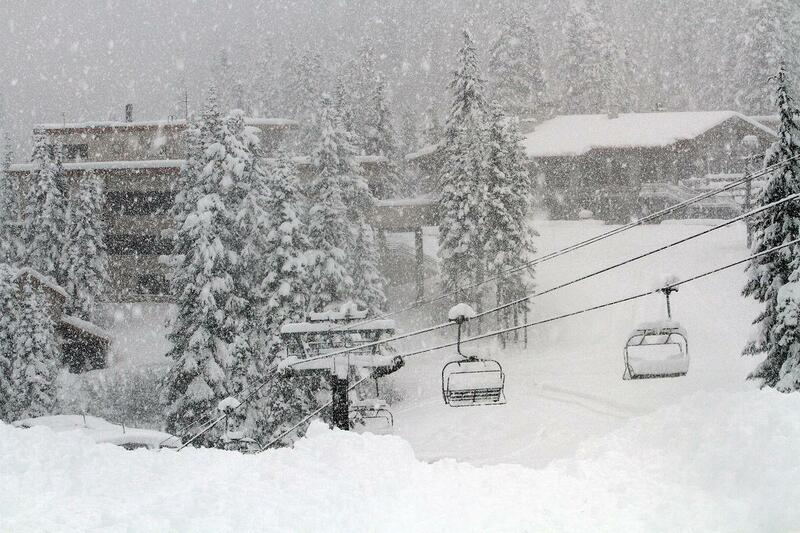 Stevens Pass Mountain Resort just 15 minutes away. 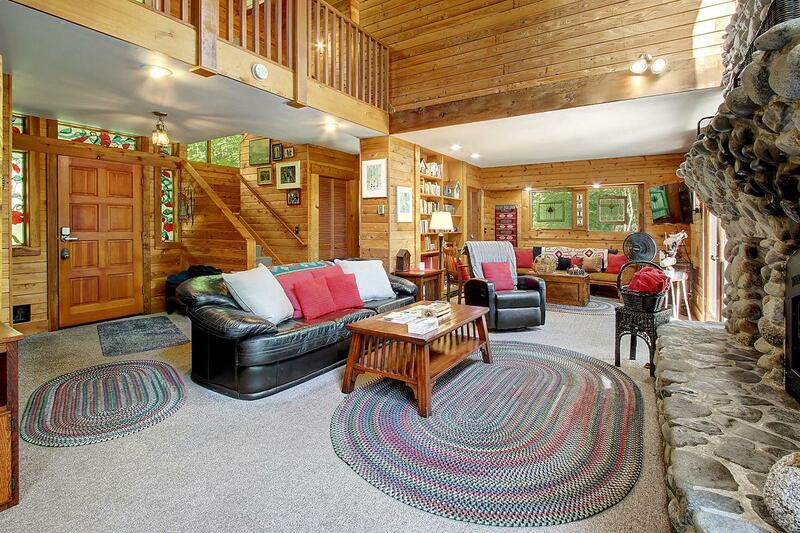 This gorgeous mountain home is just waiting for you to make wonderful memories with family and friends! 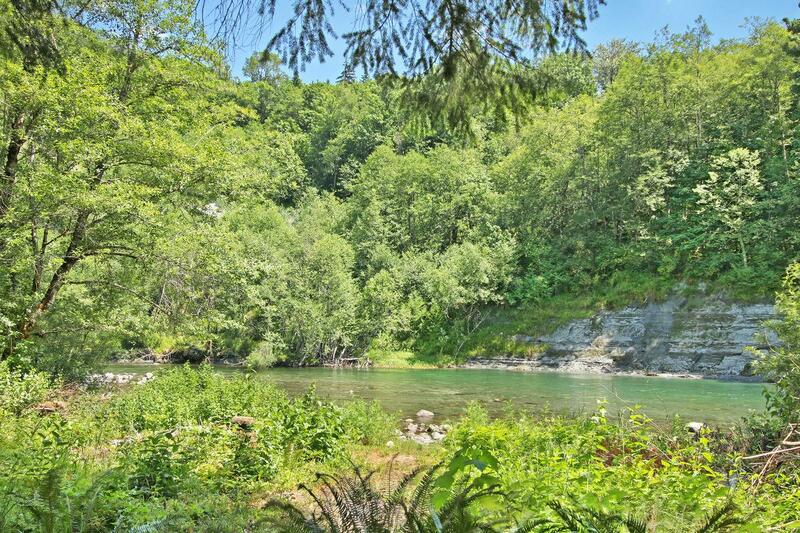 This home offers unparalleled river access with a private riverfront beach and no sightlines from across the river. 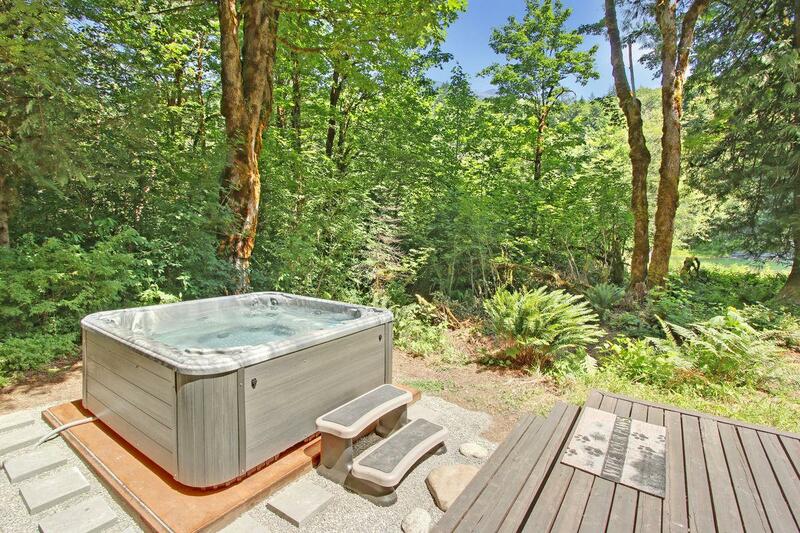 Relax in the sparkling hot tub. 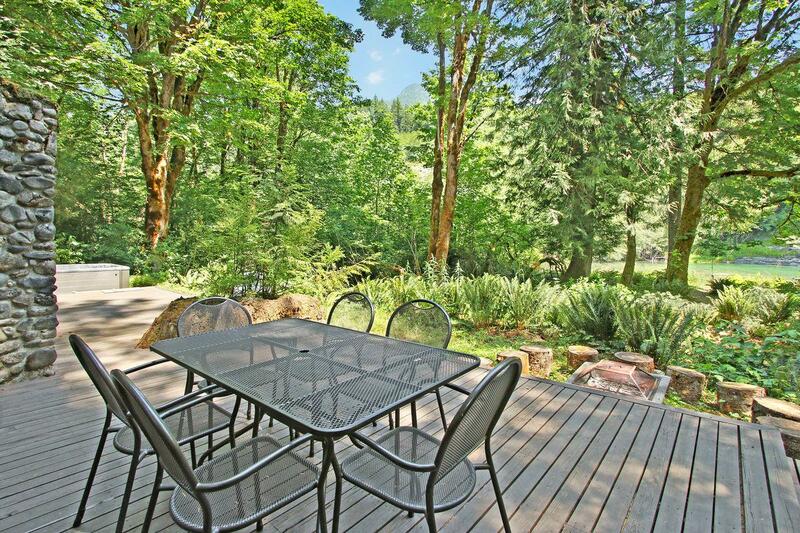 Enjoy a meal outdoors while listening to the river rush by. 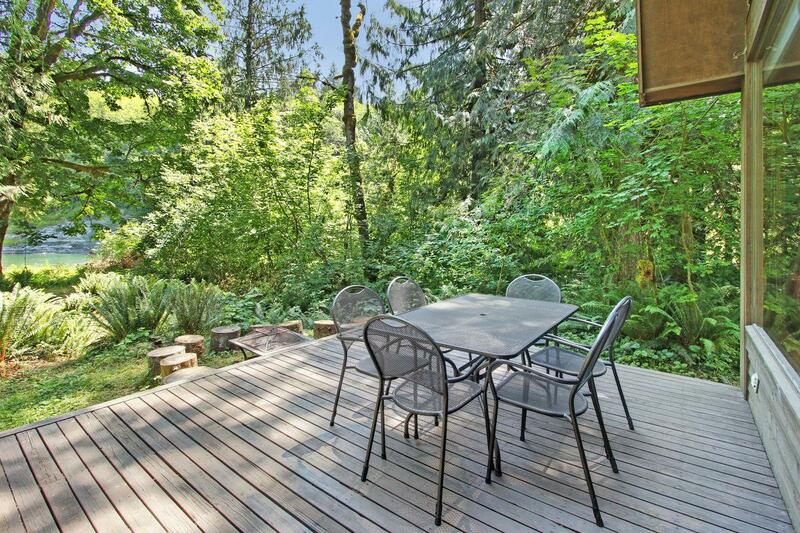 Spacious back deck looking out on the landscaping, trees and river! 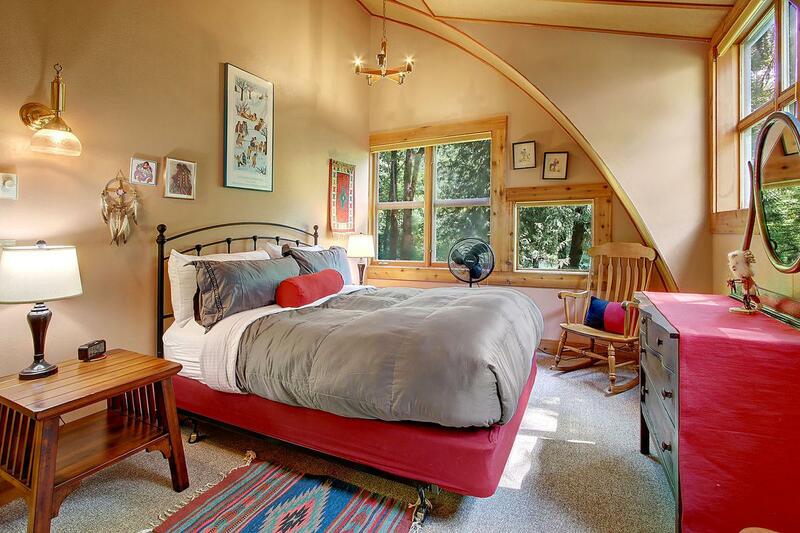 Second bedroom, another lovely retreat. 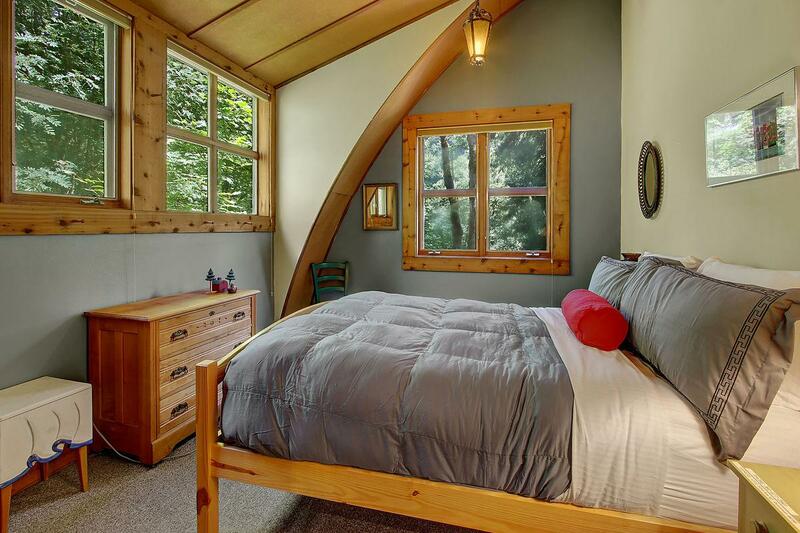 The master bedroom, a peaceful sanctuary after a long day of mountain fun! 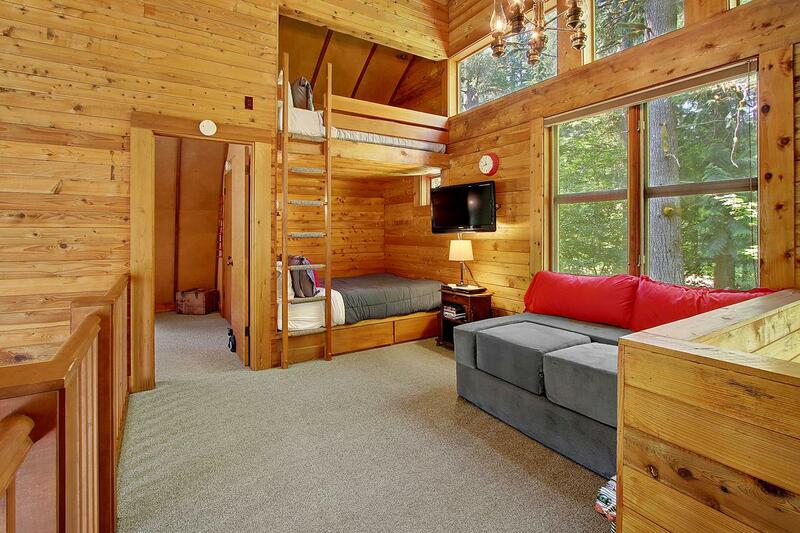 Communal upstairs loft space with two built-in queen bunk beds! 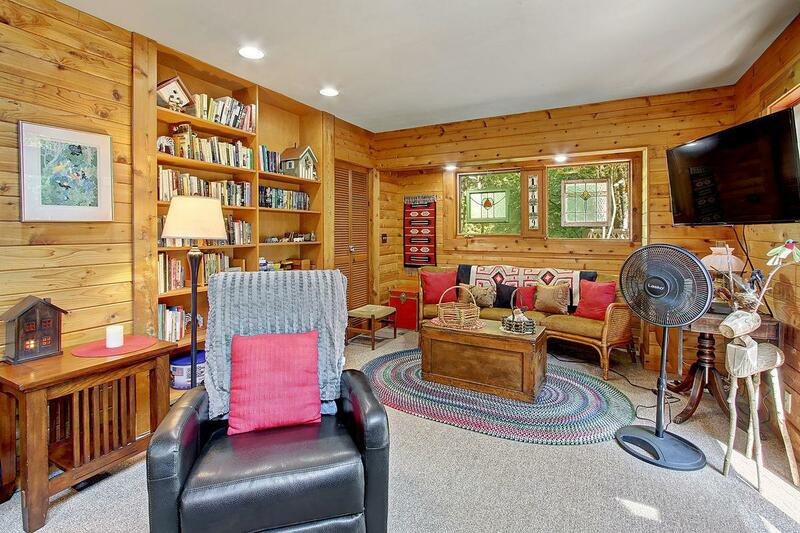 The calming study is a great spot to curl up with a good book. 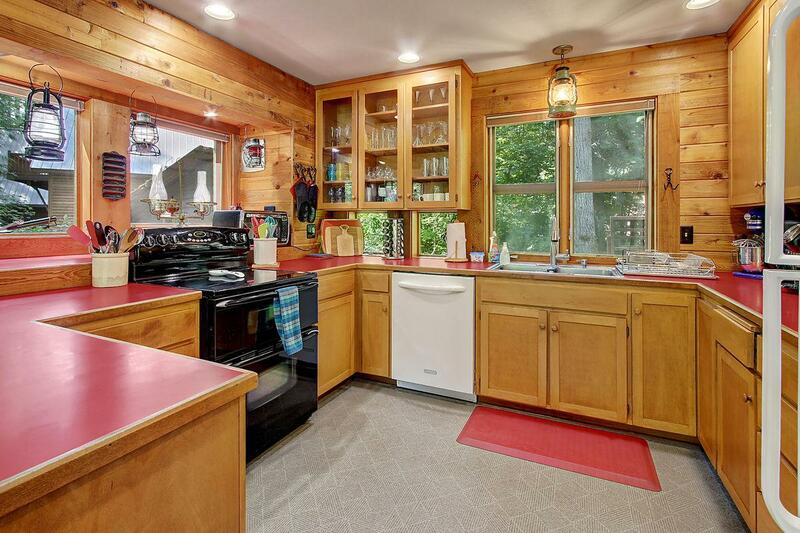 The spacious well-equipped kitchen is ready for your chef's touch! 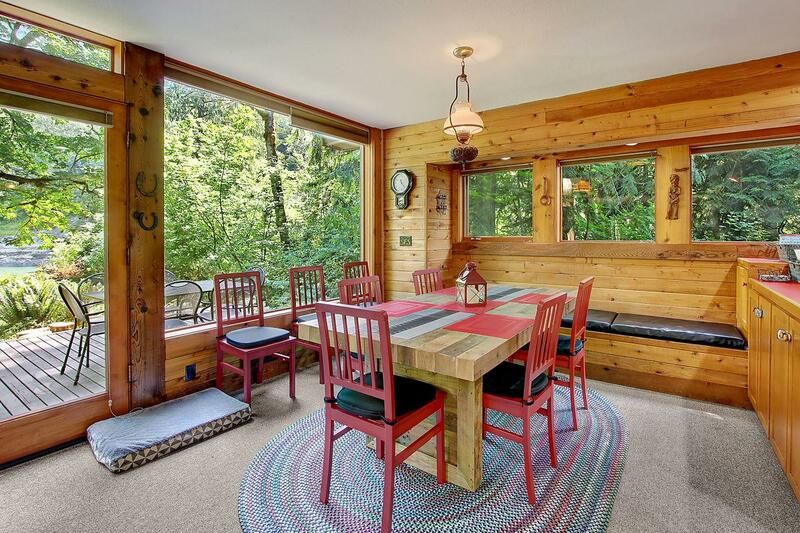 Light-filled dining space with seating for everyone. 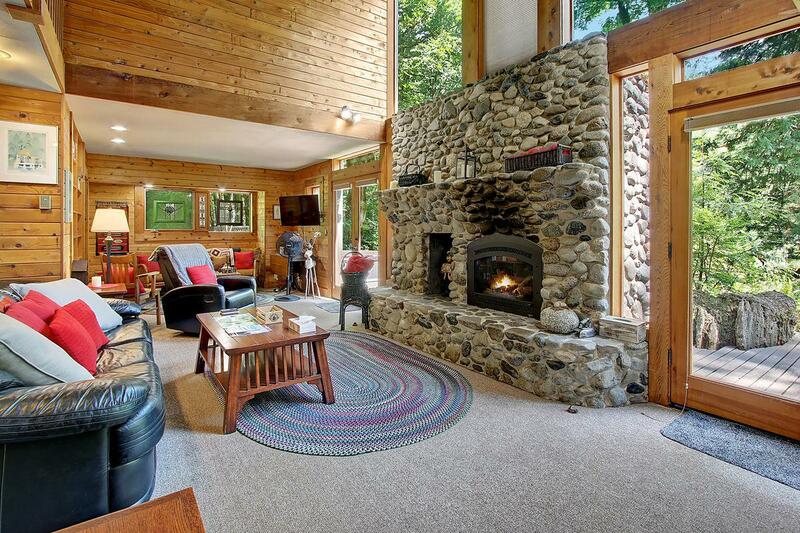 The river rock fireplace is a cozy touch at any time of year. 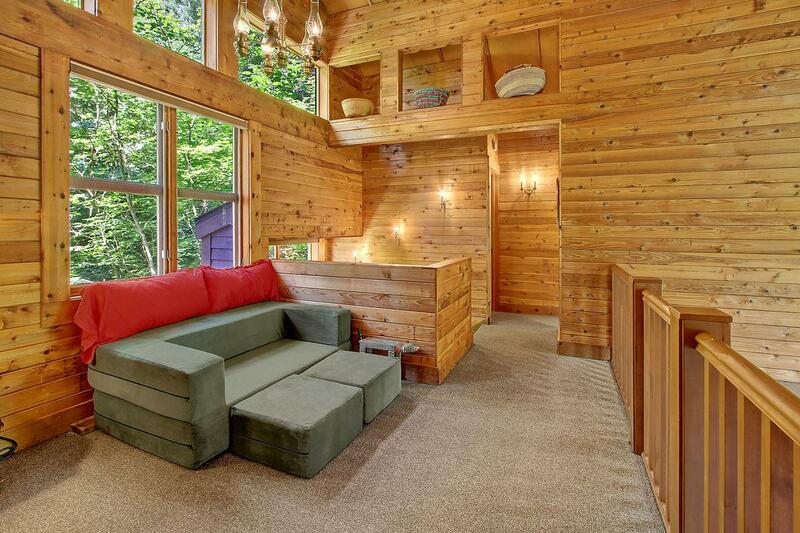 Welcome to the warm, inviting living space with lofted ceilings! 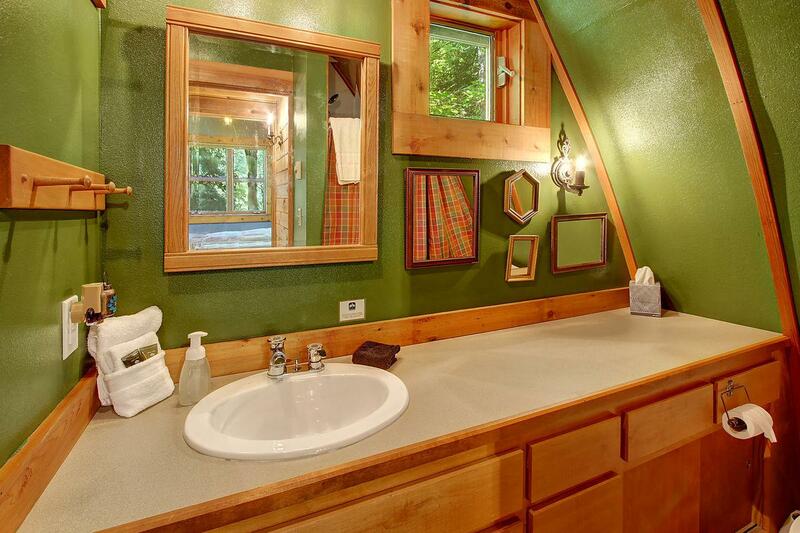 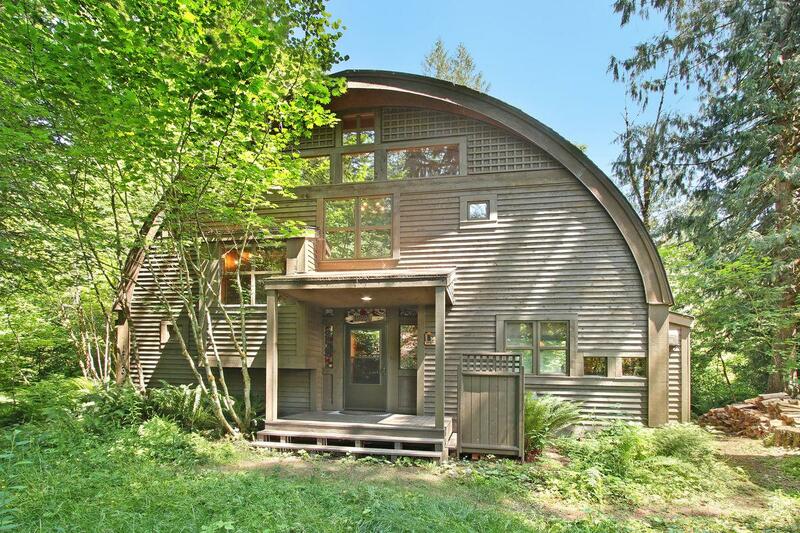 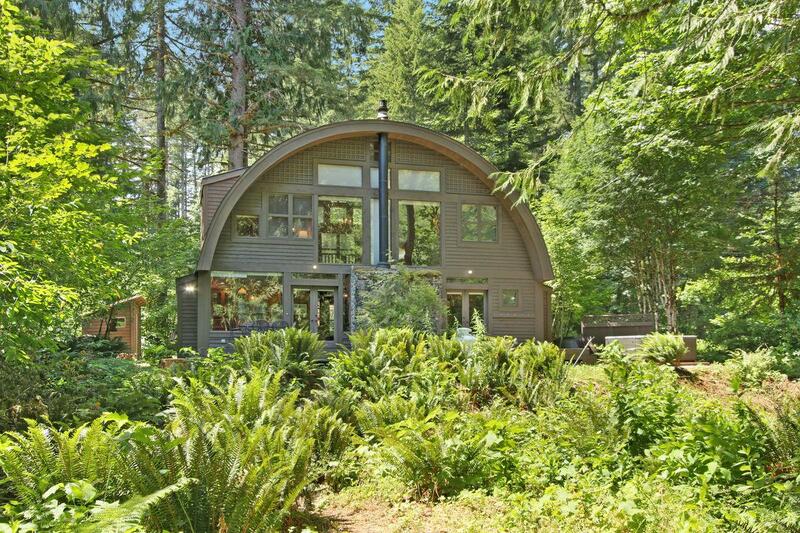 This beautiful rental is a unique barrel-shaped home with unbeatable river access.